YesTo has been getting a lot a press lately. 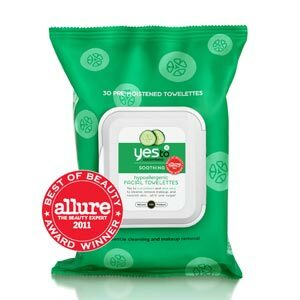 We just found out that the YesTo Cucumbers towelettes have won a big one — Allure Magazine’s Best of Beauty Award. The magazine tests thousands of products, and getting a mention in the September issue is a very big deal. See more awards that YesTo has won on YesTo’s awards page.